Sunil Kumar DE (M.Sc. 1989 & Ph.D., 1999, University of Calcutta, India) is a Professor of Geography, North Eastern Hill University, Shillong, India. His major fields of interest are Geomorphological Hazards (especially landslide & soil erosion), fluvial dynamics, river health and human impact on environment. He teaches courses on Geomorphology, Soil science and Statistics in North Eastern Hill University. He has completed 05 (five) Research Projects out of which one was a bilateral research project between Italy and India. He has published more than 50 research papers in different national and internationally reputed journals and book chapters. 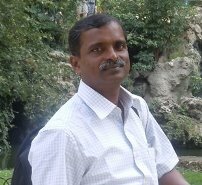 He has authored two books and edited two books on Geomorphology and Environment. Before joining in North Eastern Hill University (2013), Prof. De taught in the Department of Geography and Disaster Management, Tripura University, India as Reader from 2006-2013, became Head of the same Department for the period 2010-2012 and Union Christian Training College, West Bengal, India during the period 2000-2006. He has served as the Executive Committee Member (2001-2004) and Joint Secretary (2005-2008) of the Indian Institute of Geomorphologists (IGI). Since 2008 till now, he has been acting as the International Correspondence Secretary of the same Institute. Presently, Prof. De is one of the Vice Presidents of the IGI. He was elected as the Publication Officer of International Association of Geomorphologists (IAG/AIG) for the period 2009-2013, Secretary General of the IAG/AIG for the period 2013-2017 and has been the Vice-Chair of the IAG Working group on Geomorphological Hazards (2005-2014).